Dr. Lake Garner has had experience as a local dentist since 1996. He is a lifelong area resident and has been married to his wife, Michelle, for over 20 years. They have three children and he is very active in the community and local charities, including the Pink Ribbon Fund and Hub City Humane Society. Dr. Garner attended the University of Mississippi Medical Center School of Dentistry, graduating in 1996. 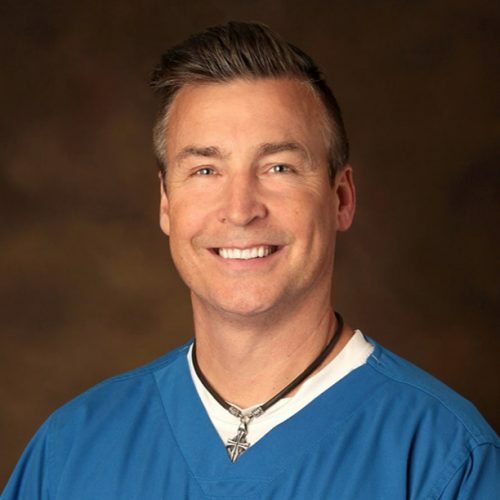 Before dental school, he completed his undergraduate education at the University of Southern Mississippi in 1992. Dr. Garner is an active member of the American Dental Association and Mississippi Dental Association. Dr. Frank Winn received his bachelor’s degree in biochemistry in 1976 from Louisiana State University. He then graduated from the LSU School of Dentistry with his DDS degree in 1980. Dr. Winn continues his dental education bimonthly and is a member of the American Dental Association and the International Team for Implantology. Dr. Winn has been married to his wife, Valerie, since 1982. He is an active member of the Rotary Club of Gautier, and he is a past-president and a Paul Harris Fellow. His goal as a dentist is to provide the best possible treatment in the most comfortable manner for all of the patients who visit our practice.